Vote for which video should win the Kid's Choice Award! We fell way behind in Nene Discussions--well, Mrs. Colte fell way behind. 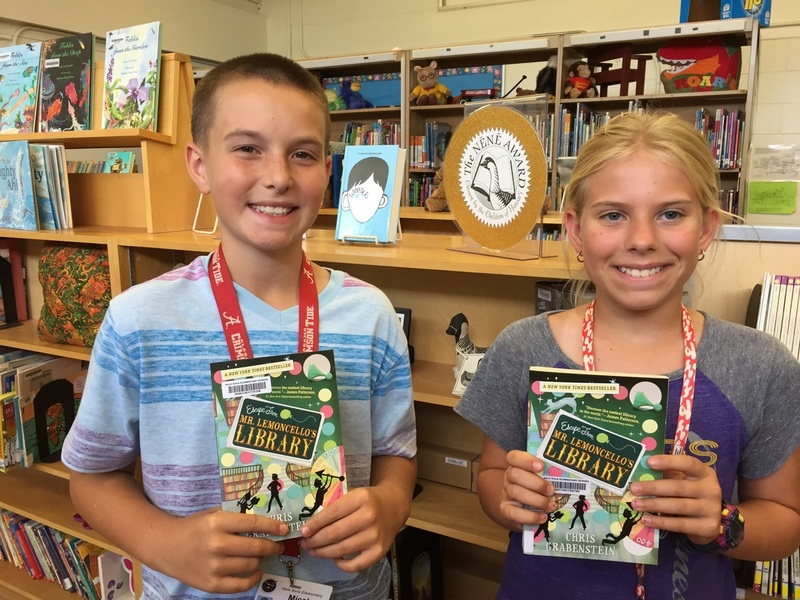 These students are ready to lead discussions with you! Here are their blog questions. Answer the question for the book you read. The Night Gardner: Is the Night Gardner good or bad? 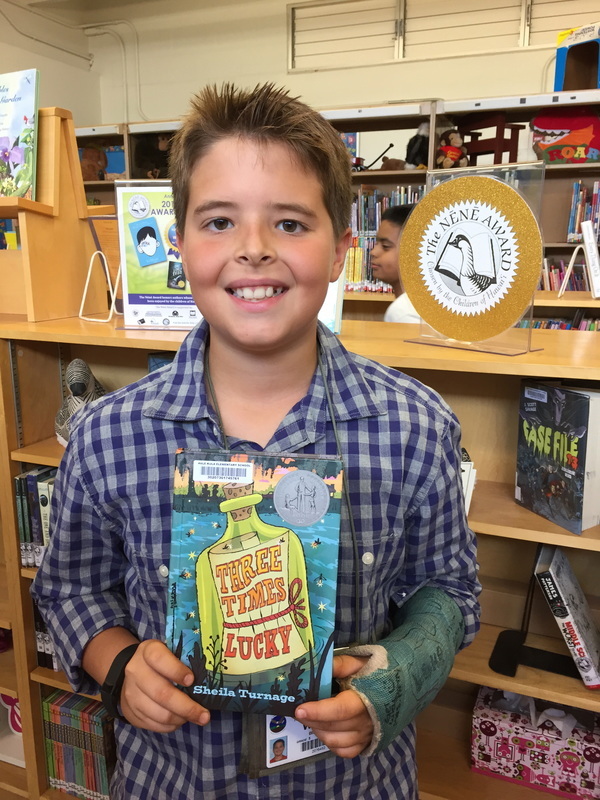 Snicker of Magic: Who/what is the pickle? First Day of School Forever: What would you do if you were in Artie's position? 2. Answer the question including the title of the book you read. 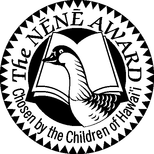 Every year Hale Kula students vote for Ghost Dog Secrets to be the Nene Winner. We LOVE this book. Ethan and I were talking about the Ghost Dog. We wondered, why did he show himself to Rusty? Why not go straight to the animal protection officer? Let us know what you think! Post your response by Tuesday, October 27 at 8:00 pm. 1. Why does the Ghost Dog appear for Rusty? Explain your thinking in a few sentences. Give details from the book. Wednesday, September 23, 2015 Smile! You've been waiting for it...and it's FINALLY here! 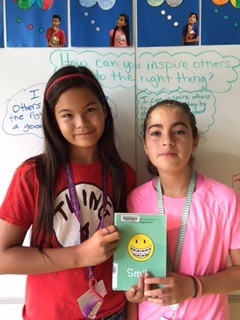 Our Nene Book Discussion on Smile! Audrey, Jehaziel and Kennedy will lead the discussion and they want you to come with questions and ideas too. Post your reply below. Write in complete sentences. 1. Your first name & room number. 2. 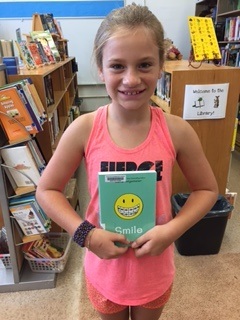 What do you think the author's, Raina Telgemeier's, message is in this book? Loot flew off the shelf! Is it the cover? The blurb on the back? The mystery March is trying to solve? Kai (C2) & Andrew (A2) will lead this discussion. If you'd like to join us, answer the question below by Tuesday, September 8, 8:30 p.m.
2. What would your "cat burglar" name be and why? 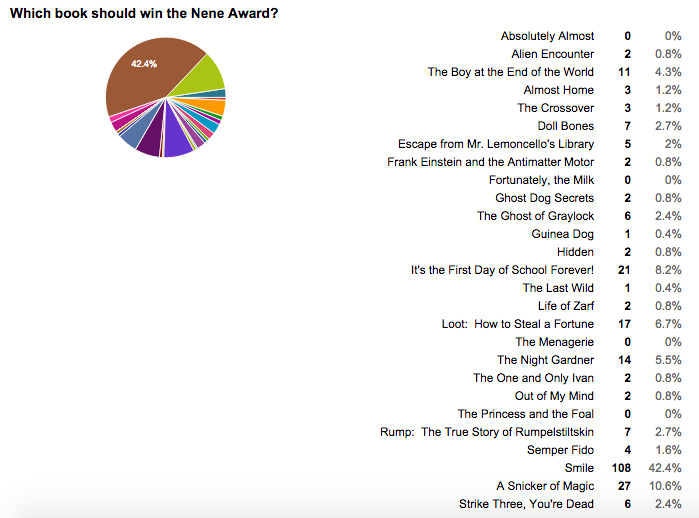 We're kicking off our Nene Discussions with this year's Nene Award Winner: Wonder by R.J. Palacio. Neko, Emeli & Kennedy will lead our first discussion of the year. We hope you will join us! Post your reply by clicking on "comments" & following the steps below. Post by Tuesday, Aug. 18 at 8:30 pm. & Mrs. Colte will give your teacher your lunchtime pass. 2. In what ways are you like Auggie? (Answer this question with examples & take time to explain how you are like Auggie). Walker has questions & a special treat for those of you who join us for this week's Nene Discussion. Post your reply by clicking on comments. 2. Do you think Mo will ever find her mother? Explain your thinking. Wow! The girls asked some AMAZING questions! Why did the author write some chapters from other points of view? What would you have done if kids teased Auggie? And so many more! 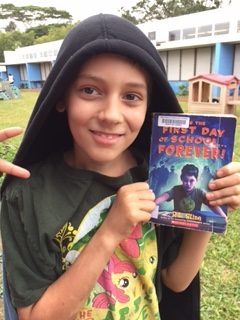 We'll be talking about Wonder next year too, so be sure to read this book! How can you "choose kind?" Look around your school, neighborhood, or community. Identify something or someone that needs your help. What could you do? Post your comments below. 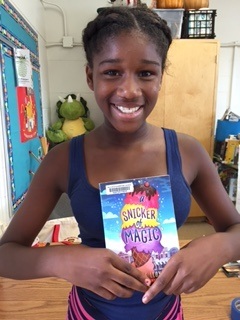 Join us, Wednesday, April 29 to discuss the 2015 Nene Winner: Wonder! 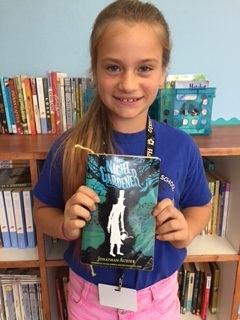 Tyra, Audrey, Jehaziel and Hannah LOVED Wonder and can't wait to talk to you about the book. If you read Wonder, post a response to their question below & Mrs. Colte will send you a pass to attend our Nene Discussion! 2. 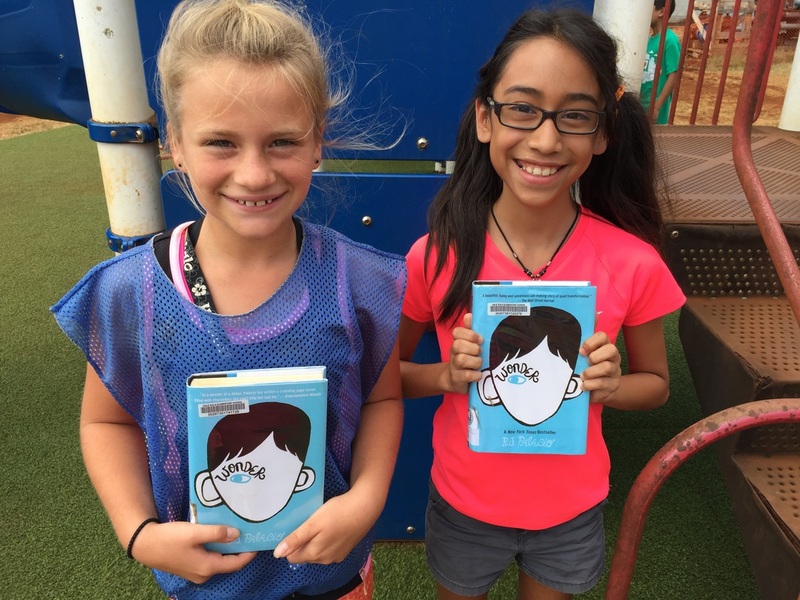 When you read Wonder, what did it make you think about? 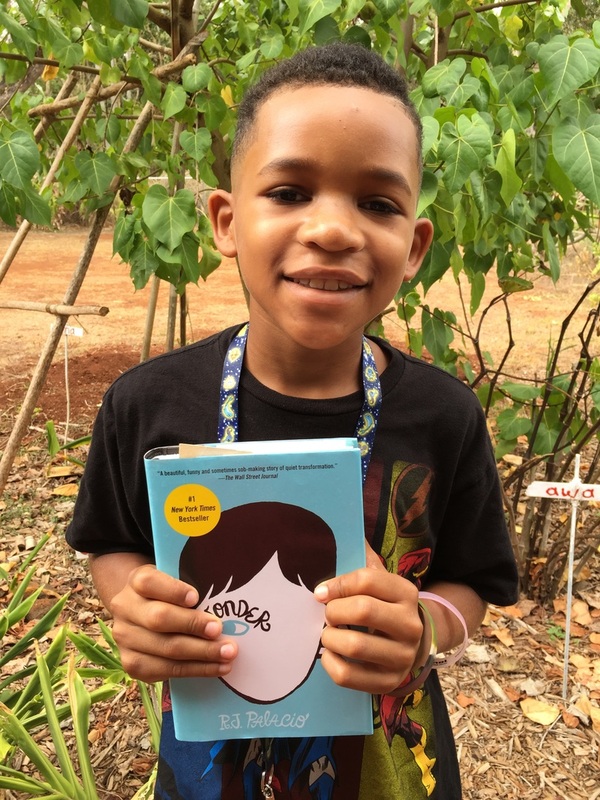 What did you wonder as you read Wonder? 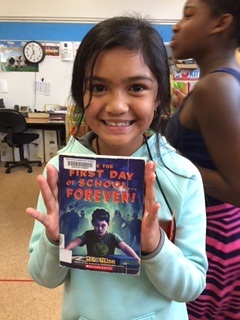 I LOVE reading Nene books & I love talking with students about the Nene Books. Join our discussion!